Josiah Collins, Sr. was born near Taunton, Somersetshire, England in August 1735 as the son of David and Joan Collins. He was baptized later that month at St. Mary’s Church in Somersetshire. Little is known of his early life, but on April 1, 1761 he married Ann Lewis and shortly after moved to Ishington, London. Josiah and Ann had three children, Josiah II (November 10, 1763), Ann (April 6, 1765), and Elizabeth (April 16, 1769). His wife died shortly after the birth of Elizabeth in 1770; Collins never remarried. After the death of his wife, Josiah moved to Boston in 1773 with his two eldest children, Josiah II and Ann. His youngest daughter, Elizabeth, stayed in England with family remained there her whole life. Collins did not stay in Boston long and moved to Providence, Rhode Island, where he remained for a year. Then Collins moved south to Halifax, North Carolina, a prominent southern town during the American Revolution. After a short stay in Halifax, Collins moved to Edenton, North Carolina in 1777 and while there he achieved great success. In 1777, Collins and his partners created the mercantile business Collins, Stuart, and Muir. The firm dissolved in 1785, but Collins continued alone in business and remained one of the most prominent merchants. He traded tobacco, lye, staves, sugar, molasses, and rum, and his trading network spanned into Europe, the West Indies, the Mediterranean, and Asia. In 1783, Josiah Collins became two-thirds owner of a ropewalk outside Edenton, N.C., purchased from the Joseph Hewes estate. Originally built around 1777, the Edenton Ropewalk was one of the first rope-making establishments in North America. Collins made his son, Josiah Collins II, manager of the newly acquired ropewalk. Sitting on a large 131-acre plot of land, the Edenton Ropewalk supplied rope, hawsers, cables, and cordage to the naval industry. The ropewalk also served as a major supplier of rope to United States Navy during the War of 1812. The Edenton Ropewalk became one of the finest rope making facilities in America and in 1795, the rope produced in Edenton was said to be superior to any imported ropes. With the decline of ship building, the Ropewalk began providing lines for the fishing industry in the area and produced seine twine, hanging twine, leading line, sinking line, and ratline rope. After his death, Josiah Collins’s Ropewalk passed to his son Josiah, and it remained in business until his son’s death in 1839. Between the 1770s and 1790s, Collins became well known for his great integrity and good judgment and was often called to settle disputes. In 1779, Collins was appointed to the admiralty court for the Port of Edenton. In 1788, Collins served as a Federalist delegate to the Hillsborough Convention and was later nominated by the state senate to run for Governor; he was unsuccessful. In November 1788, he was elected as a member of the council of state, a position he was elected to again in 1795. Josiah Collins is best known for his involvement with the Lake Company and land speculation. In 1784, Collins entered into a partnership with Nathaniel Allen and Dr. Samuel Dickinson and formed the Lake Company. They immediately began acquiring the land around Lake Phelps. In 1787 the North Carolina Legislature authorized the Lake Company to drain and use the land around Lake Phelps in Tyrell County and Washington County. In 1788, the Lake Company completed a canal connecting Lake Phelps to the Scuppernong River. The Lake Company primarily used slave labor to dig canals, extract timber, and farm the land. By 1790, the Lake Company owned 113 slaves and 109,978 acres of land between the Scuppernong River and Lake Phelps. By 1794, the Lake Company operated two saw mills, a gristmill, and a rice machine. Originally rice and wheat were the primary crops produced by the Lake Company, but because of health concerns (caused by the swampy terrain needed for rice production) the company’s leadership soon replaced rice production with corn crops. Products produced by the Lake Company were lumber, staves, and shingles. Despite the Lake Company’s success, Collins’s partners became indebted to Collins. Against the advice of his good friends, including Dr. Hugh Williamson (one of Collins’s best friends and a man after whom one of his grandchildren was named), Collins bought his partners’ shares of the Lake Company and turned the land into Somerset Plantation, (today Somerset Place, a North Carolina Historic Site). After gaining sole ownership of the Lake Company, Collins became one of the largest landowners in Tyrell and Washington Counties. At one time, Collins reportedly owned nearly 175,000 acres of land in the counties. Collins also owned land in Chowan County and at one point owned more than 25,000 acres of land in Tennessee. According to the sketch in Tarlton’s book, Collins was considered to be a generous and charitable man of impeccable character who cared little for honors and fame. As a great advocate of education, Collins was actively involved in the establishment of the Edenton Academy in 1800. He was also essential in restoring the old colonial church of St. Paul’s in Edenton. After his death a memorial window was placed in the church in his honor. Never one to broadcast his beneficence, many of his charitable acts were unknown even by his family until after his death. His will included provisions for one thousand dollars to be given to St. Paul’s Church and another thousand to be given to the poor of Chowan County. In 1805, Josiah Collins was a successful defendant in a case brought forward by the heirs of the Earl of Granville who tried to regain the land lost or confiscated during the Revolution. It is said that Josiah Collins remained vibrant and strong into his late years in life until he suffered an accident at Somerset Plantation where he fell while visiting the lake property in 1819 at nearly 84 years old. He did not die immediately, but the accident caused his health to decline quickly. Josiah Collins, Sr. died on May 14, 1819. His son, Josiah Collins II, continued his businesses, plantation, and the Collins legacy. A.C. Menius III, “Josiah Collins Sr” in Dictionary of North Carolina Biography Vol. 1 A-C, edited by William S. Powell (University of North Carolina Press: Chapel Hill, 1979), 404-405. Author Unknown, “A Sketch of the Life of Josiah Collins I,” in William S. Tarlton, Somerset Place and its Restoration, (N.C. Division of State Parks: August 1, 1954) 117-125. Copy found in the North Carolina Department of Archives and History: Josiah Collins Collection. George Stevenson, “Ropewalks,” in Encyclopedia of North Carolina, edited by William S. Powell (Chapel Hill: University of North Carolina Press, 2006), 987-88. 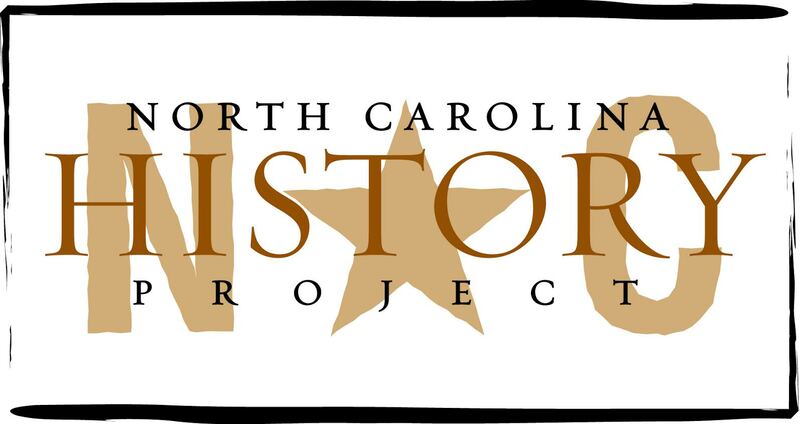 North Carolina Historic Sites. “Somerset Place,” North Carolina Department of Cultural Resources, http://www.nchistoricsites.org/somerset/main.htm. Accessed on August 13, 2013. North Carolina Highway Historical Marker Program, “Lake Company,” North Carolina Department of Cultural Resources, http://www.ncmarkers.com/Markers.aspx?sp=search&k=Markers&sv=B-35. Accessed on August 13, 2013.